Hi! I'm a physics postdoc at the University of Washington/CENPA, where we build precision experimental tests of gravity. 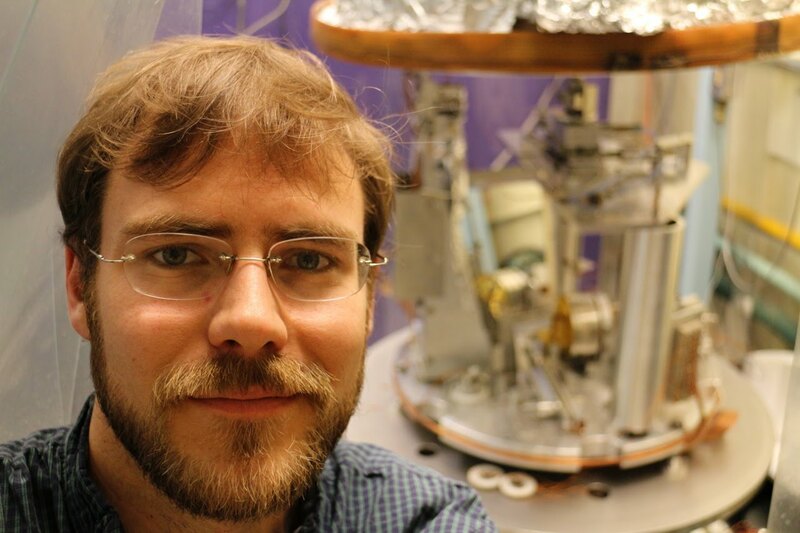 Together with graduate student Erik Shaw and the Eöt-Wash Group, we're building a new test of the Equivalence Principle, the empirical fact that gravity pulls on all things equally, independent of composition. My thesis experiment was a new test of Newton's gravitational inverse square law at distances shorter than 100 microns. You can find my thesis here, and all of the code to generate that analysis and document from raw data here. When I'm not in the lab, I'm often in the mountains. Krishna Venkateswara, Charles A. Hagedorn, Matthew D. Turner, Trevor Arp, Jens H. Gundlach. Review of Scientific Instruments, 85, 015005 (2014). T. B. Arp, C. A. Hagedorn, S. Schlamminger, and J. H. Gundlach. Review of Scientific Instruments, 84, 095007 (2013). R. Dolesi, M. Hueller, D. Nicolodi, D. Tombolato, S. Vitale, P. J. Wass, W. J. Weber, M. Evans, P. Fritschel, R. Weiss, J. H. Gundlach, C. A. Hagedorn, S. Schlamminger, G. Ciani, and A. Cavalleri, Physical Review D 84, 063007 (2011). M. D. Turner, C. A. Hagedorn, S. Schlamminger, and J. H. Gundlach, Optics Lett. 36, 1479-1481 (2011). S. Schlamminger, C.A. Hagedorn and J.H. Gundlach, Physical Review D 81, 123008 (2010). S.E. Pollack, M.D. Turner, S. Schlamminger, C.A. Hagedorn, and J.H. Gundlach, Physical Review D 81, 021101(R) (2010). S. Schlamminger, C. A. Hagedorn, M. G. Famulare, S. E. Pollack, J. H. Gundlach. Laser Interferometer Space Antenna: 6th International LISA Symposium. AIP Conference Proceedings, Vol. 873 (2006). C.A. Hagedorn, S. Schlamminger, J.H. Gundlach, in Laser Interferometer Space Antenna: 6th International LISA Symposium, AIP Conference Proceedings, Vol. 873 (2006). Email: charlie7charliehagedorn.com; converting the 7 to an @.